1. What are the benefits of shared office space? What are the downsides? You will be in a more productive and business-like environment – If you are moving from a home office, or have been working in, say, coffee shops or similar, then moving into a shared office space brings you into a more business-oriented environment. In most cases, people in shared offices are on the same page, and the space is geared towards efficient business practice; the desks are functional, the seats are the right height, the lighting is efficient and bright, the heating and cooling is comfortable, the WIFI is fast and consistent, there are a sufficient amount of power outlets, and there is usually not too much background noise. There are usually photocopiers, printers and other business equipment that you can use, as well as meeting rooms and conference rooms that are usually available to hire on an ad hoc basis. There are usually also complimentary tea and coffee making facilities. The location of this environment will be oriented towards business too. In most cases, they will be close to amenities such as coffee shops, gyms, Post Offices etc., and will benefit from good transport links. They will give you a physical space in the market – It may be important to be based in say, Midtown Manhattan or Downtown Austin, because this is where your client base is, or where events and launches etc. related to your business are. The operator of the space may be able to provide you with a virtual office address and mailbox facility to help improve your presence in the location. Flexibility whilst you test the water – The advantage of a shared office over a private office – either leasehold or serviced – is that you don’t have to commit to a fixed amount of space for a fixed amount of time. This is important when your business is working out what it needs from its office accommodation in terms of; amount of space required, technology favoured, location preferred etc. Privacy – Whilst the shared office spaces are nowhere near as open as, say, coffee shops, you do still need to be diligent with your information. This can be particularly important for a startup that is nurturing a brand new concept, for instance. Business information could potentially be leaked to competitors, or you could mishandle personal information in a ‘public’ setting. So you have to be a little more mindful in the shared office setting. Noise – Someone using shared office space has accepted that there will be some hubbub and energy in the environment, however, sometimes there can be just a little bit too much. It’ll be noisier than your kitchen table but not as loud as Starbucks, in most cases. It is not easy to create a great office environment, we recommend taking a look at how Google define how to create an office for work and play, more also can be read in this article from the New York Times. Atmosphere/Vibe – This is somewhat related to the above point; the atmosphere of a space can vary from day-to-day depending on who else is using the space on a particular day. Works best for a small group of people – As you can’t predict how busy a particular shared office will be on a particular day, you can’t always use the same space within the office. This could be an annoyance if you wanted, say, a block of 4 desks together in a particular configuration every day. 2. When and why do they work for small business owners? How could they help you scale your business? 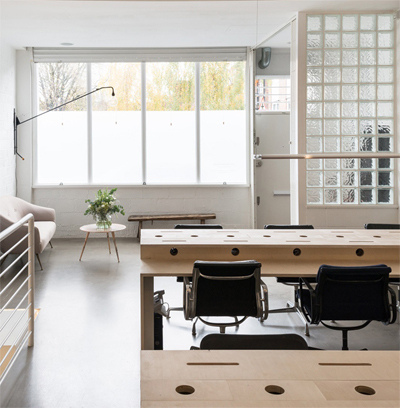 Generally, shared office space transitions a small business from the remote working environment into business accommodation environment in a conservative manner. On the growth curve of a small business, it introduces an accommodation option that comes before the taking of a private office. 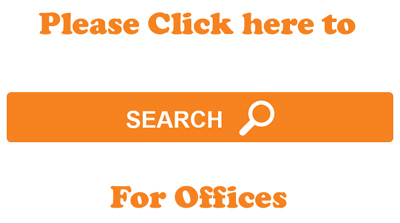 The Office Providers have developed a fantastic online database of available office rentals from their UK serviced offices in London. This works for a small business when it is still assessing what it requires from its office accommodation and/or is not ready or willing to commit to any onerously large outgoings. At a stage in the life cycle when it is still honing its whole business model, shared office space allows the business to ‘dip its toe in the water’ of office accommodation and experience and measure what it requires from its longer-term office space. The things that can be measured using shared office space can include; the locational requirements, the style of building, the amount of space required, the technology requirements, the specification of the building, the commute times, the amenities close by, meeting and conferencing facility requirements etc. Another thing a small business might observe whilst testing the space is that their requirements are changing quickly. They will, therefore, be able to assess how flexible there future private office agreement/leases will need to be. Apart from the testing ground that shared office space can provide, the same operator will often also have private office space options into which a business can upscale into, making the transition easier. If it does not, the locations of shared office spaces are almost always shared with the locations of private serviced offices. For more information on helping small businesses, we recommend visiting the UK Government Finance & Support resource or if you reside in the USA, we recommend the Office of Small Business Development website. 3. Any tips for getting the most from a shared office space? Be mindful of your privacy. Use the space as a measuring tool – What are the elements of the shared office space that are benefitting you and your business? How can you replicate these in your next office move? Use the space for as long as you want – don’t feel pressured into thinking moving into a private office is the best logical step, it may not be – there are many businesses that have been operating successfully for decades using shared office space. Embrace the flexibility and carry that into your next office space agreement. Embrace the open and collaborative environment – you may meet your future business partner at the water cooler. PolicyNet is a dynamic online community of researchers and scholars within the public policy sector.